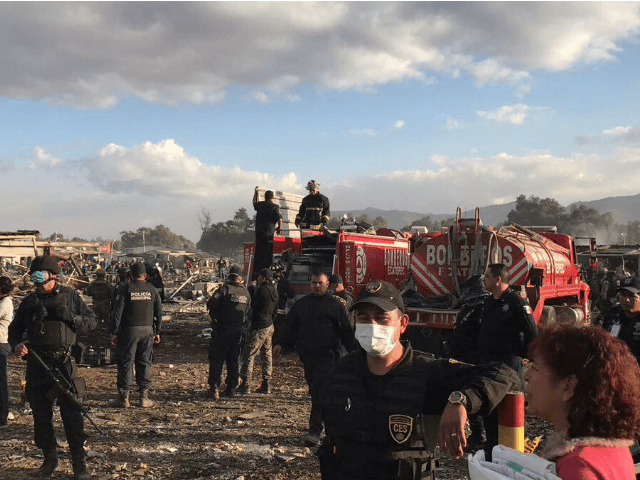 At least 27 victims died as a result of a massive explosion at a fireworks market in Mexico. Authorities continue to render aid, assess the damage, and look into the cause of the explosions. 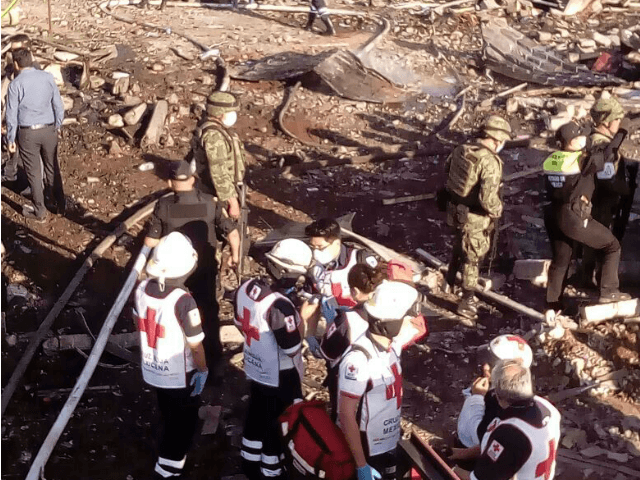 The incident took place on Tuesday afternoon at the Tultepec market in the State of Mexico, information provided to Breitbart Texas by Mexico’s Red Cross revealed. The initial fire set off a chain of explosions that killed 25 adults and two children–at least 72 other victims were also injured in the blasts. The subsequent fire burned through more than 300 vendor booths, prompting a massive response by emergency personnel. Authorities deployed six helicopters, 120 ambulances, 250 municipal police officers, 50 federal police officers, and 180 Mexican soldiers. Tultepec is a Mexican community near Mexico City where the artisan production and sale of fireworks is its main industry. Tony Aranda is a contributing writer for Breitbart Texas.